- SAILING TOURS - POWER BOAT TOURS - WHALE WATCHING - WILDLIFE VIEWING - We are a small family run business specializing in fun, educational ocean boating adventures. All of our boat tours are appropriate for children and adults of all ages. Conveniently located just 15 minutes from Pismo Beach and San Luis Obispo. Join us today for an unforgettable boating experience on the pristine waters of San Luis Bay the hidden gem of the Central Coast. On all of our boat tours you will see an abundance of wildlife and learn a bit about each animal from our Captains that are also well trained as naturalists. Whales are here most of the year and we offer powerboat excursions to go and see them and when feasible our sailing tours will also visit them. Our boats have comfortable seating with plenty of room to stretch out and walk about as we are underway and a front row position for everyone as we visit with the animals. 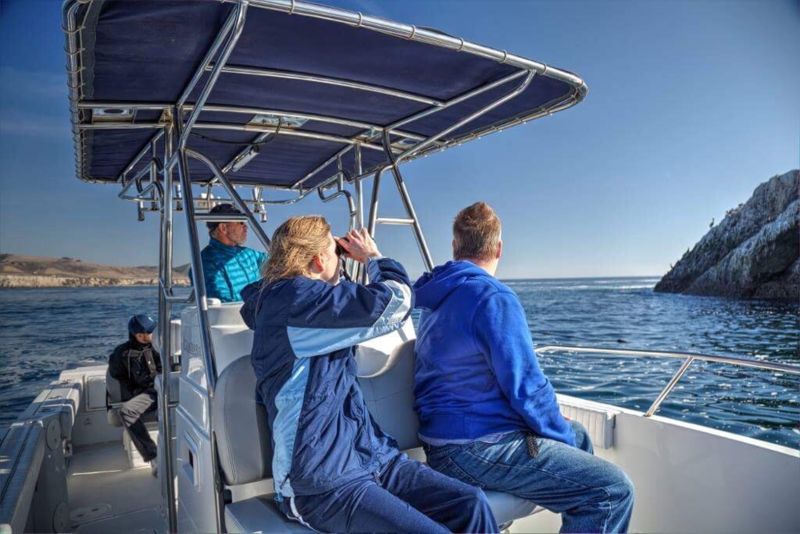 For detailed descriptions of what to expect on our different boating tours please click the menu icon in the upper left of your screen or call (805) 540-4667. All of our tours can be made into private charters for just you and your family or friends, simply reserve all 6 spaces on any tour. 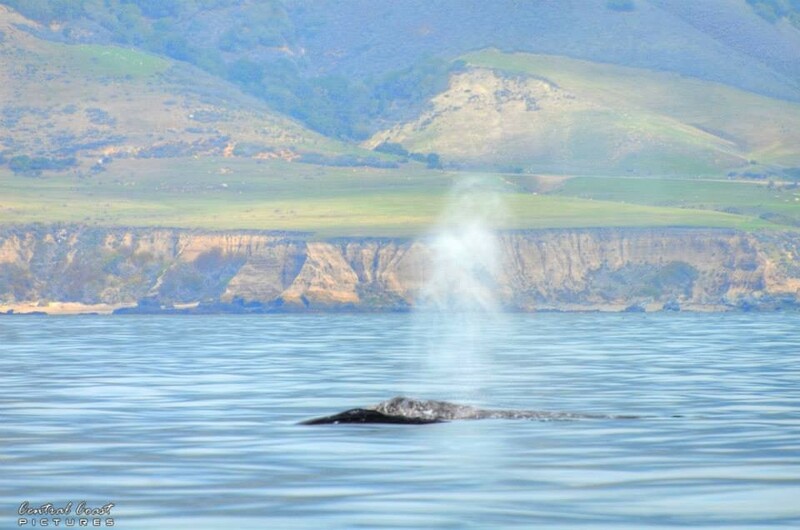 Rated the best Avila Beach boat tour on Tripadvisor and YELP for 7 years in a row! We are the most experienced boat tour company in the area operating since 2012. "We know these waters"
Our smooth riding powerboat "PACIFIC FLYER" feels amazing as it glides over the waves ! She has quite running , ultra low emissions Yamaha motors and is a very fun ride whether venturing to the outer bay for whale watching or zipping about near shore for a coastal exploration tour. Our 44 ft sailing vessel "SPIRIT" has introduced over 8000 guests to the magic of sailing along the beautiful San Luis Obispo coast. A locals favorite when guests come to town. To check availability please go to the reservations page by clicking the "book now" button below. Enter the number of people in your group, select the date and leave the dropdown "Tours" bar set to "any" to see all of the tours we are offering on the date selected. Private and custom tours are available, if you do not see the trip you want offered please call us as we can add private tours on many days. "Making Memories Whale Watching in Avila Beach (Central Coast of CA)"
Our 6-year-old Grandson was going to visit us in Avila Beach, Ca and we wanted to create some exciting memories for all of us. He loves just hanging out with us and going to the park but we wanted to do something he would never forget. My wife’s cousin from Grover Beach recommended that we should go on a whale watching sailing excursion with Central Coast Sailing. She heard good things about them so booked it right away. We were blown away by the lovely sail boat and how wonderful Captain Mark treated us and our grandson. Capt. Mark made sure we were comfortable with refreshments and snacks which was a nice surprise. We definitely created some memories that will be tough to top in the future. We were extremely fortunate and we saw whales for 2.5 hours of our 3-hour tour. Not to mention Sea Lions and Sea Otters. I felt like it was a magical sea world adventure for all. I can’t wait for our next sail adventure with Central Coast Sailing. "Best Boat Tour on the Central Coast"
Just back from THE best whale watching experience ever aboard Captain Mark's 26 ft power catamaran. Mark is by far the best guide imaginable to introduce you to the stunning abundance of Central Coast marine life. He's warm, knowledgeable, and welcoming. The power cat is comfortable, fast and stable. Do yourself a favor and peel away from this review and book your excursion pronto! "Always A Most Memorable Experience"
Today was my third sailing trip with Central Coast Sailing Charters. I am in awe of the fact we have someone like Captain Mark here on the Central Coast. He has sailed all over the world, so you are in the hands of a very skilled, experienced sailor. To add to that quality, he is super knowledgeable about this area and its marine life. On top of all that, he is personable, friendly, and very kind. Seeing whales and other marine animals is a bonus on this beautiful sailing experience, and that has happened on every one of my trips.